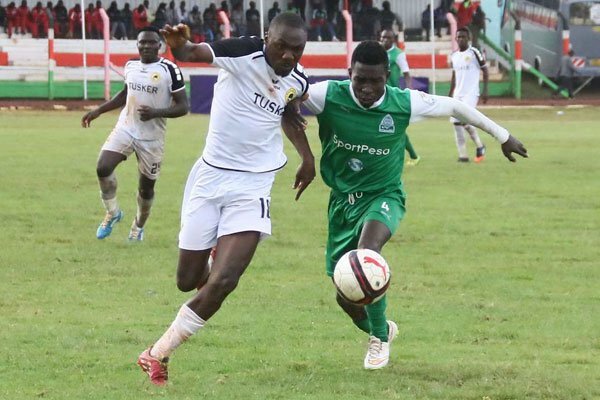 Gor Mahia’s plans of taking over the league leadership were stifled on Sunday when they surprisingly lost to struggling Mathare United 0-1 at Thika Stadium. It was an unexpected loss since Mathare have been on the receiving end of heavy defeats. Former Gor Mahia youth team players Cliff Nyakeya and Derrick Onyango collectively ensured that K’Ogalo walk home bare handed. Onyango was the man with the assist and Nyakeya is the man, who placed the ball past keeper Boniface Oluoch in the 34th minute. With the aim of securing three points in order to go ahead of Posta Rangers on the league table, Coach Ze Maria named a strong squad with Jean-Baptiste Mugiraneza and Jacques Tuyisenge being part of the arsenal. Indeed, Mugiraneza showed intention of wanting to etch his name on the score-board in the 20th minute but Mathare United proved smarter by clearing the danger. Karim Nizigiyimana then launched a number of attacks after Nyakeya goal but things did not work out well for him. The fight continued in the second half-with the likes of Godfrey Walusimbi being instrumental in search of an equalizer to no avail. 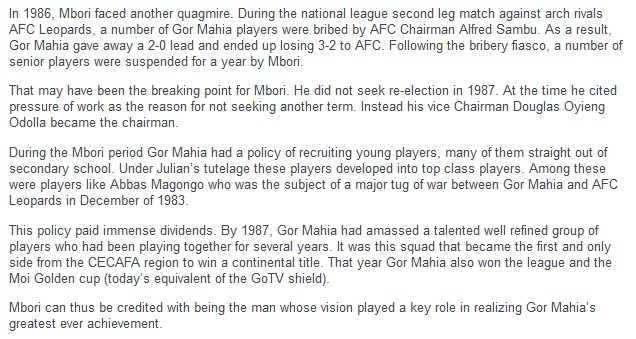 Even the introduction of Maloba Oliver never bore any fruits for Gor Mahia. The Mathare United win is a big morale booster for coach Salim Ali putting into consideration that the ‘Slum Boys’ had registered a draw against Chemelil Sugar after suffering a 5-1 defeat against Ulinzi Stars under him in the absence of head coach Francis Kimanzi. Gor Mahia : Boniface Oluoch, Karim Nizigiyimana ,Wellington Ochieng’ , Musa Mohammed, Shakava Haron, Otieno Philemon, Kahata Francis, Jean-Baptiste Mugiraneza,Walusimbi Godfrey, Tuyisenge Jacques, Meddie Kagere. Subs : Fredrick Odhiambo, Onyango Joash, Nondi Amos, Mbugua Athony, Maloba Oliver, Otieno Timothy, Wafula Innocent. Mathare United : Levis Opiyo, Andrew Juma, George ‘Wise’ Owino, Lennox Ogutu,David Mwangi, Chrispinus Odour, Aboubakar Keya, Daniel Mwaura, Harrsion Mwenda, Cliff Nyakeya, Derrick Onyango. Subs : Wycliffe Kasaya, Tyson Odhiambo, Roy Okal, Martin Ongori, David Owino, Tyson Otieno, Ronald Okoth. It was Kogalo who dicated terms in the first half. It therefore came as no surprise when Innocent Wafula opened the score in the 10th minute after picking up a pass from Ugandan international, Geoffrey Walusimbi. In recent matches Wafula has not found favor with coach Ze Maria. Whereas Frank Nuttall was always keen to utilize Wafula’s speed down the right flank, Ze Maria has preferred a passing game. Given a rare opportunity, Wafula did not waste it and stamped his name on the scoring sheet for the first time in 2017. Gor Mahia continued to dictate terms in the first half with Francis Kahata among those coming close. Gor Mahia forced half a dozen corners in the first half with Bandari forcing only one. Bandari came back into the game in the second half and their efforts paid dividents immediately. In the 50th minute, Musa Mohammed fouled Shaban Kenga in the eighteen yard box and the referee awarded Bandari a penalty, which veteran Abich coolly converted. Gor Mahia then went hunting for a second goal with Bandari preferring to sit back. The better more positive team was rewarded with a goal in the 66th minute. It was Walusimbi who scored with the assist coming from substitute Oliver Maloba. Last season, Gor Mahia beat Bandari 2-0 at Mbaraki. But in the return leg in Kisumu, Bandari forced a scoreless draw. The win puts Gor Mahia is sole posssesion of second place behind Posta Rangers who eked out yet another 1-0 win and two points ahead of resurgent Sofapaka who silenced AFC on Wednesday. Bandari: Joseph Okoth (GK) 2. Noah Abich 3. Mohammed Siraj 4. Felly Mulumba 5. Andrew Waiswa 6. Michael Luvutsi 7. 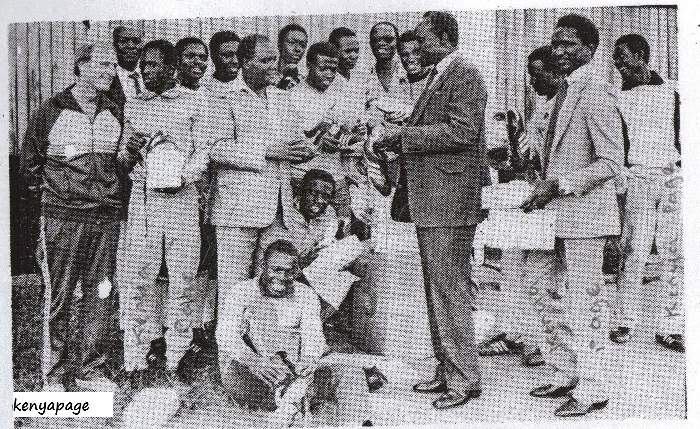 Shaban Kenga 8. Musa Mudde 9. 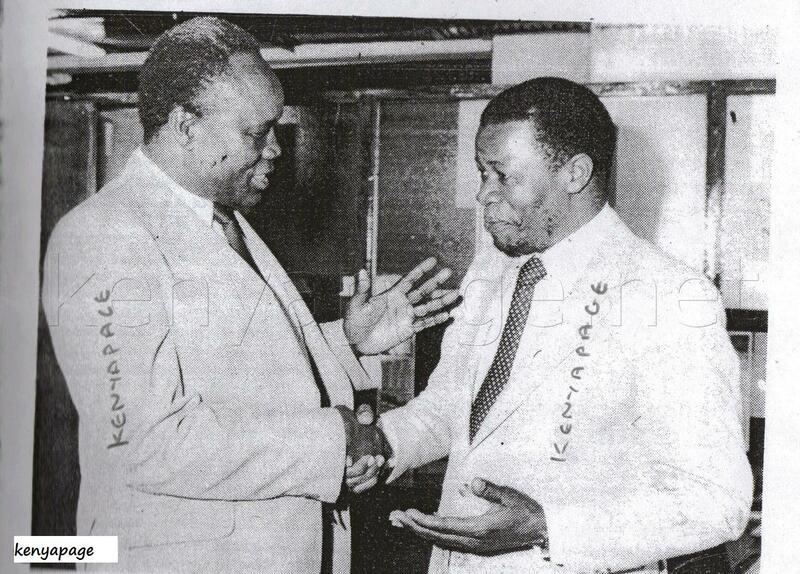 Enock Agwanda 10. Dan Serunkuma 11. Darius Msagha. Subs: 12. Lukas Indeche 13. Duncan Otewa 14. 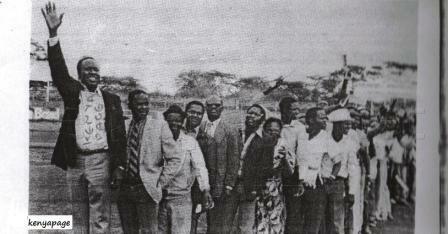 Anthony Wambani. 15. Mohammed Sharrif 16. 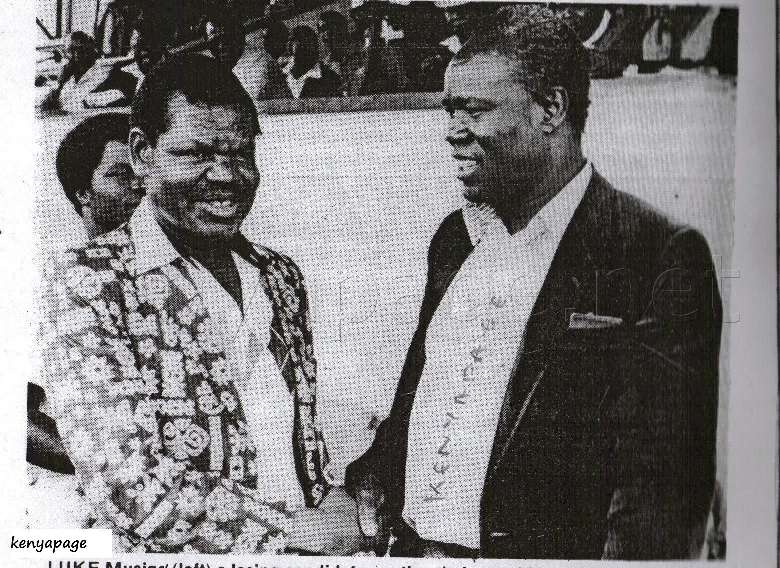 Fred Nkata 17. Wilberforce Lugogo 18. 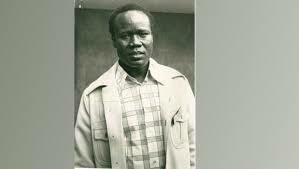 Tyron Owino. Gor Mahia skipper Musa Mohamed thinks Kogalo were the better side on Saturday but a combination of the heavy downpour and back luck put paid to Kogalo’s efforts. It was a tough match and the rain messed with our tempo in the first half. When we came back after halftime break we were able to put pressure on our opponents, he told Futaa.com. In the second half Gor Mahia created a number of chances and even struck the post twice but could not make a breakthrough. “It is part of the game sometimes the game does not go as planned but we are happy that we got a point from this clash and it puts us somewhere.” continued Musa. Tusker coach George Nsimbe for his part thinks his side accorded Gor Mahia too much respect. Gor Mahia are tied in second place with arch rivals AFC. As a result, winning the next match against Bandari has taken a higher magnitude of importance. Gor Mahia will face off with Bandari on Wednesday. Bandari lost their last match to Chemelil FC. A win would have seen them seize the lead in the standings. They will be in no mood to slip up again and will rely on former Gor Mahia players Dan Sserunkuma and Edwin Lavatsa for goals. Gor Mahia for their part will be hoping that the Rwandese duo of Jacque Tuyisenge and Meddie Kagere can find their scoring boots. Since the first game against Kariobangi, Gor mahia have yet to win any match in convincing fashion. Musa Mohamed is confident that Kogalo can rise to the occassion. “We have prepared well for the match. What remains is for the players to do their duty on the pitch,” Mohammed said. “We know it is not going to be easy because of the weather and the fact that Bandari lost their previous match. But we are ready to battle and hope for the win.” he said to the Nation. The match kicks off on Wednesday at 3pm at Mbaraki Sports club. In the Gor-Tusker encounter, the champions were lucky to escape with a point as Gor wasted a dozen scoring chances particularly in the last 15 minutes of an exciting match after the brewers’ Ugandan midfielder Hashim Sempala was sent off. The smooth flow of the early exchanges was disrupted following a heavy down pour which lasted for half an hour reducing the pitch into a bowl of waterlogged surface. After the rain stopped, Gor seemed to master the slippery pitch as they took the game to brewers box. Meddie Kagere, scorer of Gor’s winning goals in their last two matches, missed a chance to open the scoring for K’Ogalo after his header from Karim Nizigiyimana’s cross went inches off target. The 2016 KPL MVP Kenneth Muguna also had a rasping shot that missed the target as the 15-time champions intensified their hunt for the opener. 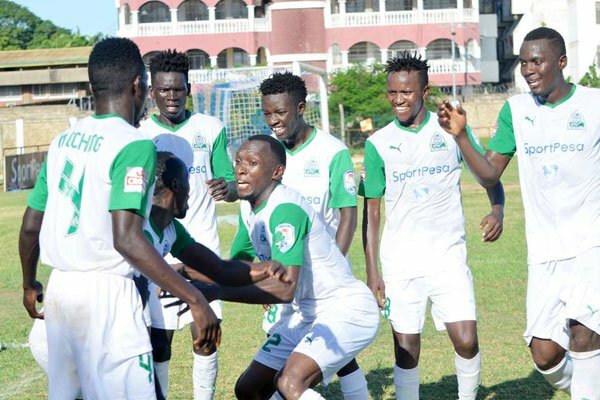 Gor picked up from where they had left it in the second half before Tusker coach George Nsimbe, under-fire after only winning one of the opening five matches, summoned Clifford Alwanga for Michael Khamati. On the opposite side, Gor tactician Jose Marcelo Ferreira introduced the attacking trio of Timothy Otieno, Innocent Wafula and Francis Kahata for Jacques Tuyisenge, Karim Nizigiyimana and Jean-Baptiste Mugiraneza. The substitutes nearly gave Gor the lead as Otieno fired wide in the 65th minute with his first touch of the ball from inside the area. Centre Anthony Ogwayo sent off Sempala for a second bookable offence for a high boot. 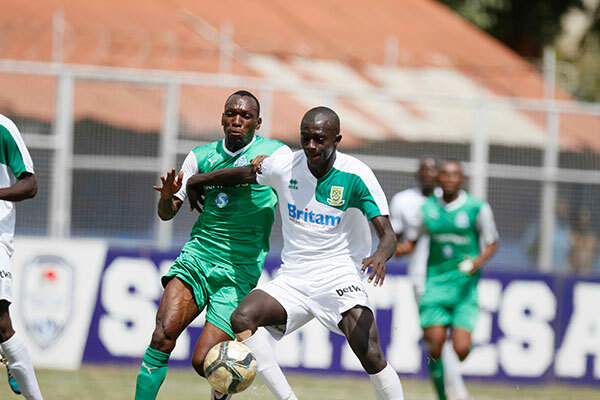 With 10 minutes to the final whistle, Godfrey Walusimbi – who was brilliant all afternoon – watched haplessly as his shot hit the crossbar, before Muguna was also denied by the woodwork as Gor piled on more pressure on the understrength brewers. 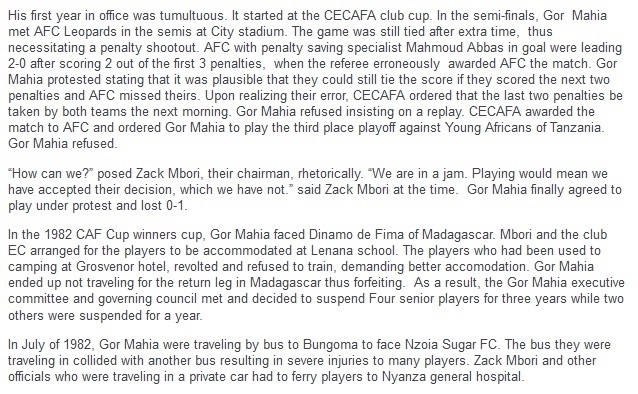 Gor coach was agitated by the officiating and trailed the referee after full time. “Poor officiating denied us victory. The match official was not equal to the task,” said Ferreira. Tusker coach George Nsimbe blamed the heavy rains for disrupting their playing pattern. “We had crafted a winning formula but again we had no control of the weather which made the pitch slippery after it rained heavily,” said Nsimbe. Gor Mahia coach Ze Maria became the first coach in 2017 season to be awarded the coach of the month award. He was the only coach to record two victories during the month. 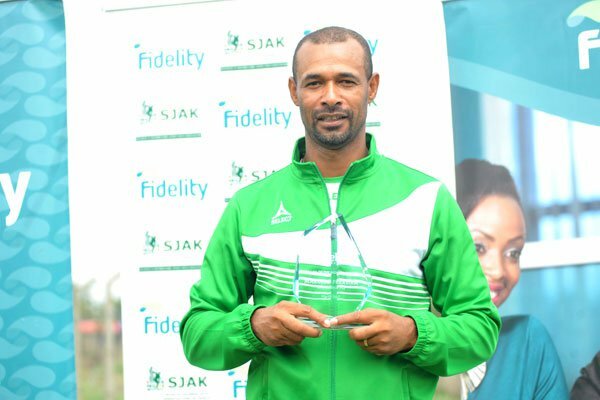 He was awarded Tuesday morning by Sports Journalists Association of Kenya (SJAK) and award sponsors Fidelity Insurance. 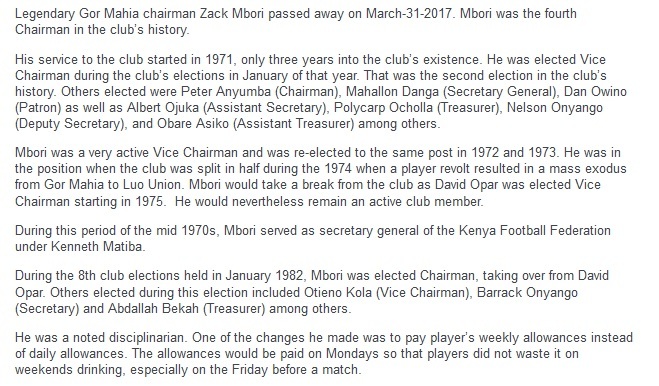 Other candidates were Paul Nkata of Bandari and Sammy Omollo “Pamzo” of Posta Rangers. This is the second time Ze Maria has won the award. He also won in October 2016. The award comes with a Ksh 75,000 cash prize. “My players know my philosophy: to win every match and for this I dedicate the award to them for the good job they did. In the two games we played in March, they were excellent because we faced tough teams in Sharks and Zoo,” said Ferreira to the Nation. The Brazilian tactician noted that the club had already won one trophy and is going for three more to make up for 2016 which was a trophyless season for Kogalo. “I am happy because we are on the right track this year. We have one trophy already, the Super Cup and we want three more. We have good players this season that are going to do a good job for us. It’s a good mixture of the experienced and young players,” he said. You can see we are playing with confidence which he has instilled in us. Every player is confident on the pitch and for sure his presence will be key to achieving our target this year,” said Mohamed to the Nation. 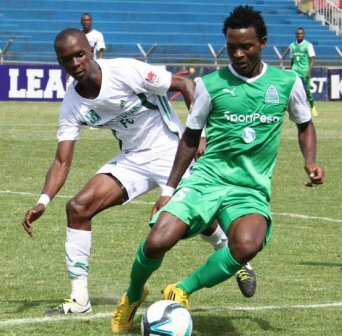 This past weekend, Gor Mahia recorded their fourth win of the season. And it was yet another hard fought win. Other than the first match of the season where Gor Mahia won 3-1 against Kariobangi Sharks, every other win has been by one goal. Even bottom side Zoo Kericho made Gor Mahia work hard for a 1-0 win. Unlike last season’s first leg where Gor Mahia were entirely dependent on Tuyisenge’s goals, this season the goals have come from diverse sources, most notably Meddie Kagere who is returning to the form we saw in 2015, but also Wendo, Mugiraneza, Tuyisenge and Shakava. 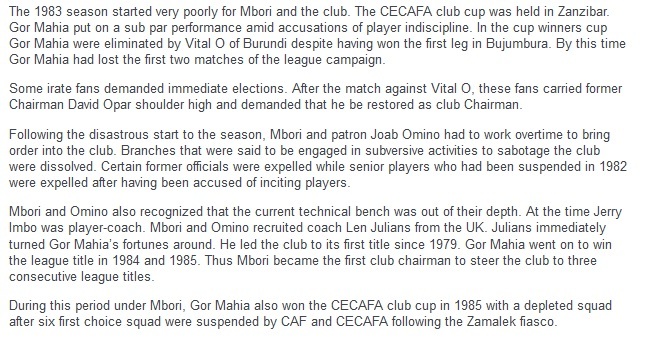 But other teams are also breathing down Gor Mahia’s neck. Sofapaka and Bandari both recorded impressive wins this past weekend and arch rivals AFC Leopards are only two points behind. Surprise package Posta Rangers, who are now under former Gor Mahia coach Sammy Omollo “Pamzo” are in second place thanks to a deserved win over Mathare United. Coach Ze Maria is under no illusions about the task ahead. “Our plan is to win as much as we can and we shall keep working hard to achieve this plan. We have to keep winning these games. We have to keep winning matches, whether against SoNy Sugar or the champions Tusker. ” he said after the match. 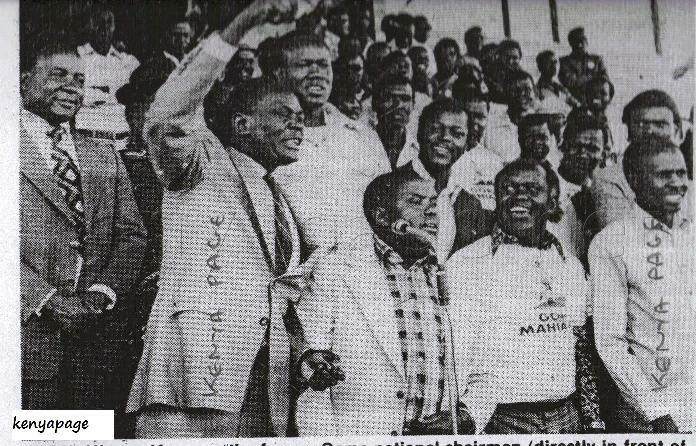 And every team that plays Gor Mahia, comes out with determination. “Sony was a tough side, especially because they were playing at home, but my boys really came out well and we won,” said Ze Maria. Gor Mahia play Tusker next. Though Tusker have had a poor start to their season, one can be certain that they will be determined against Gor Mahia as they try to use that match to give their poor season the jolt it needs. 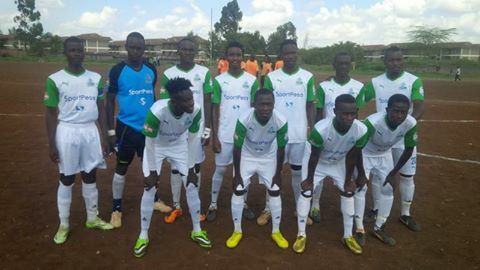 The Gor Mahia Youth team is competing in the Football Kenya Federation Division two Eastern. Of late they have had a run of good form that has put them firmly emong the contenders. This past weekend they beat Eastleigh Youth. Earlier they recorded impressive wins such as 5-1 whitewashing of Kenya Foreast service and a 4-0 win over Victoria Sports. Gor Mahia consolidated their lead in the 2017 Kenya Premier league with yet another hard fought win. This time they beat SoNy Sugar 2-1 in Kisumu on Saturday. Ernest Wendo scored the opening goal. And yet again it was Rwandese striker Meddie Kagere who came through with the all important goal to give Gor Mahia a 2-1 win. Inside the first minute, Rwandan Jacques Tuyisenge was presented with a golden opportunity from a Godfrey Walusimbi cross with only the keeper to beat but he placed his header over and wide. 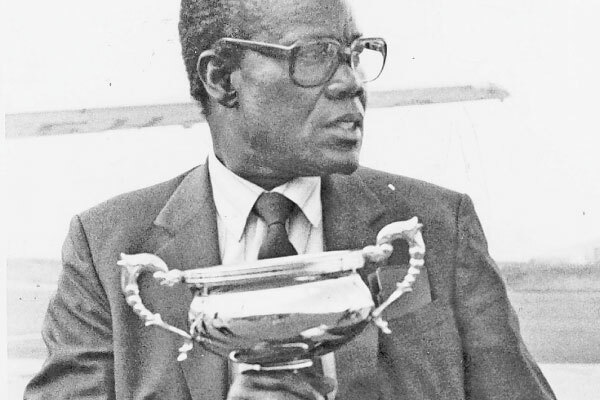 The 15-time champions were using their strength on the wings to destabilize Sony with Walusimbi and Karim Nizigiyimana employed as wingbacks doing most of the donkey work. Goal scorer Kagere also had a superb opportunity from another superb worked move from wide, but he could not find the target after Nizigiyimana had picked him up perfectly. Gor continued to dominate and Kenneth Muguna came close to his second goal of the season with a shot from distance which went over. Sony had struggled to create chances as Gor denied them spaces, but they managed to squeeze one with Amos Asembeka crossing in but George Abege saw his header well collected by Boniface Oluoch. Gor were rewarded for their perfect start in the 22nd minute when Ernest Wendo grabbed his debut goal with a well struck low shot after a Sony poor clearance from a Gor corner found him well placed at the edge of the box. Sony provided the response in the 38th minute with George Abege breaking the offside trap and skipping past Oluoch to tap into an empty net. The Gor defense had been left standing with their arms up, thinking the second assistant ref would call for offside. K’Ogalo however, rose back into the lead just three minutes after the restart. The ball landed perfectly on Kagere’s path after Muguna’s attempt at a shot was futile, the Ugandan-born Rwandese simply tapped in past Kevin Otieno in the Sony Sugar goal. Gor would have late chances with Tuyisenge seeing a header off a Nizigiyimana cross being saved while Muguna had a shot go over. 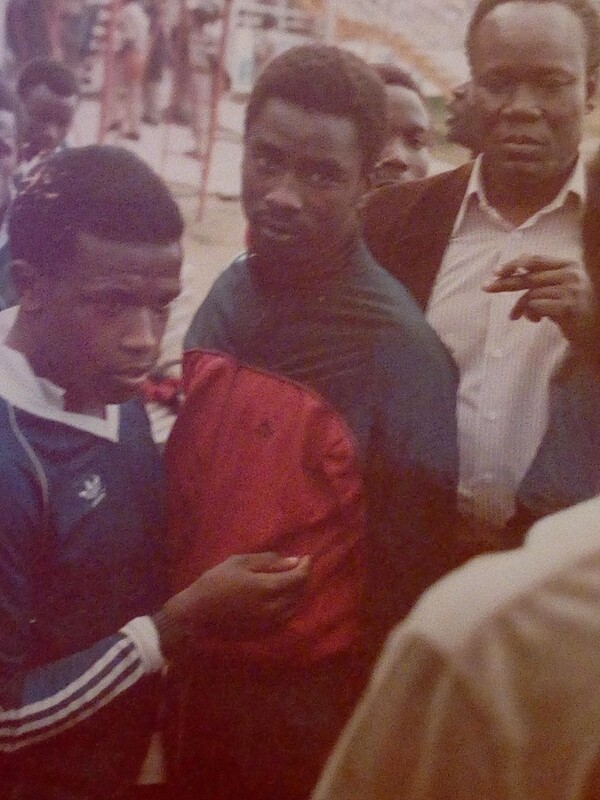 John ‘Softie’ Ndirangu earned his first piece of action in a Gor jersey later on and he showed glimpses of what is expected of him with a fine shot from distance that was well handled by the Sony shot stopper. “It was a tough match because Sony have never been an easy opponent for us. We are happy with the win though because getting three points back-to-back gives us a lot of confidence. 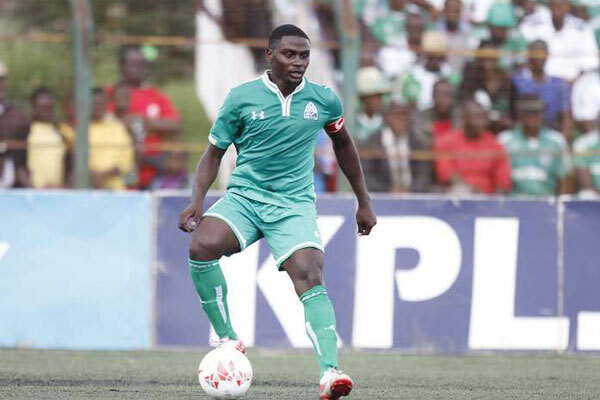 We played very well especially in the second half and we hope we can keep up that way,” Gor Mahia skipper Musa Mohammed told Capital Sport after the match. After a hard fought win against Kakamega Homeboyz at Afraha last weekend, Gor Mahia are back in the title hunt. They will be trying to maintain their lead in the stadings when they take on SoNy Sugar of Awendo at teh friendly confines of Moi stadium Kisumu. 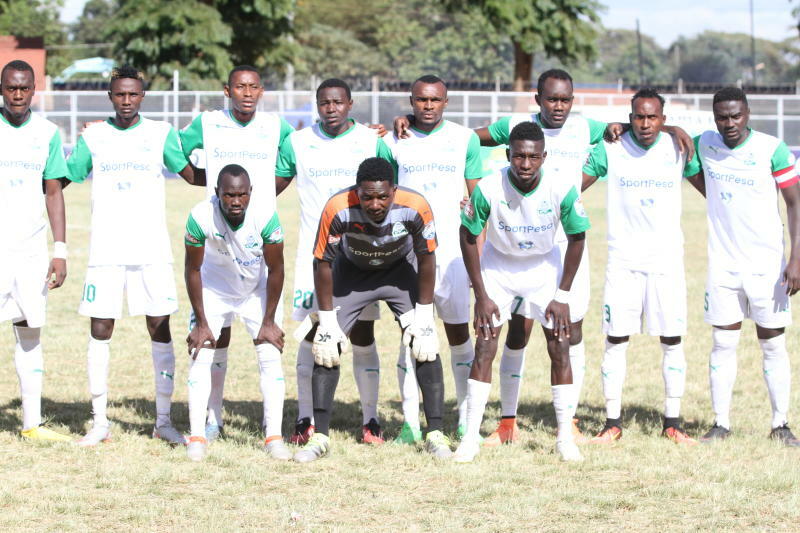 SoNy Sugar who are currently eighth in the standings, are in high spirits after beating Thika United 1-0 last weekend. SoNy Sugar has always been a tough nut to crack. 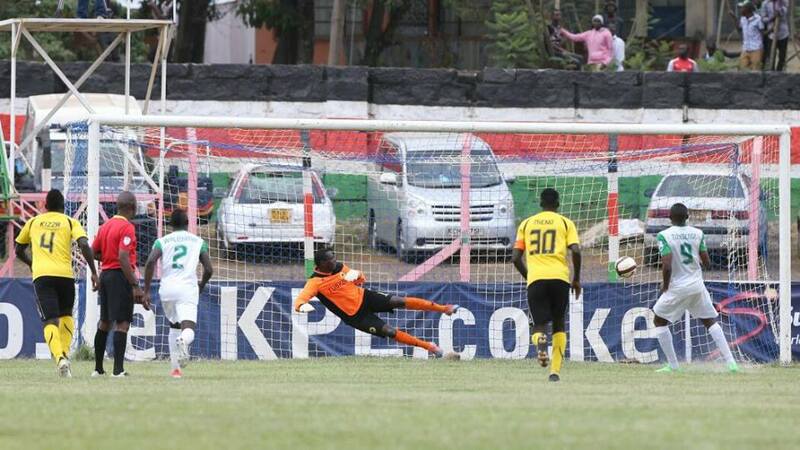 In the last 4 years, the match typically ends in a hard earned 1-0 win for Kogalo and in some rare cases a 0-0 draw. In 2016, Gor Mahia were held 0-0 by SoNy Sugar at Awendo, a results that slowed down Gor Mahia’s title chase. Ze Maria who is keen to make amends will be going for nothing less than a win. Prior to that scoreless draw, Gor Mahia had won the first leg 1-0. In 2015, Gor Mahia pipped SoNy Sugar 1-0 in the first and second legs. The second leg win is what clinched the league title for Gor Mahia with the goal coming from Innocent Wafula. In the 2015 first leg, it was a sublime free-kick from Ali Abondo that earned Kogalo a 1-0 win at Awendo. This time coach Salim Babu of SoNy Sugar is determined to turn the tables. He was at Afraha stadium last weekend scouting and he thinks he has found a formula to beat Gor Mahia. “We have seen their strengths especially playing from the wings and we know what to do to beat them. It is a big team of course and they have always been tough against us, but we are determined to get a win past them and I know with the motivation my boys have, it is possible,” said Babu to Capital FM. Gor Mahia coach Ze Maria knows it will be a tough outing. “It is a tough match against Sony because they play like a unit. They have good individual players but for us, our objective remains to win our matches. We know the fans expect a lot from us and always, we should go there prepared to win,” said the former Brazil international. 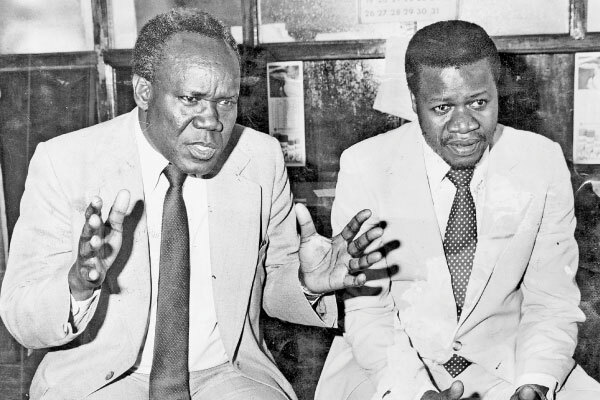 Boniface Oluoch, Peter Odhiambo, Karim Nizigiyimana, Godfrey Walusimbi, Haron Shakava, Musa Mohammed,Wellington Ochieng’, Ernest Wendo, JacquesTuysenge, Kenneth Muguna, Meddie Kagere, George Odhiambo, Jean-Baptiste Mugiraneza, Francis Kahata, Philemon Otieno,Antony Mbugua, Timothy Otieno, John Ndirangu and Innocent Wafula. Still missing from the squad is Collins Okoth “Gattuso” who does not seem to have made amends with the club’s technical bench. According to Judith Nyangi, the match kickoff time is 3pm on Saturday April 15.